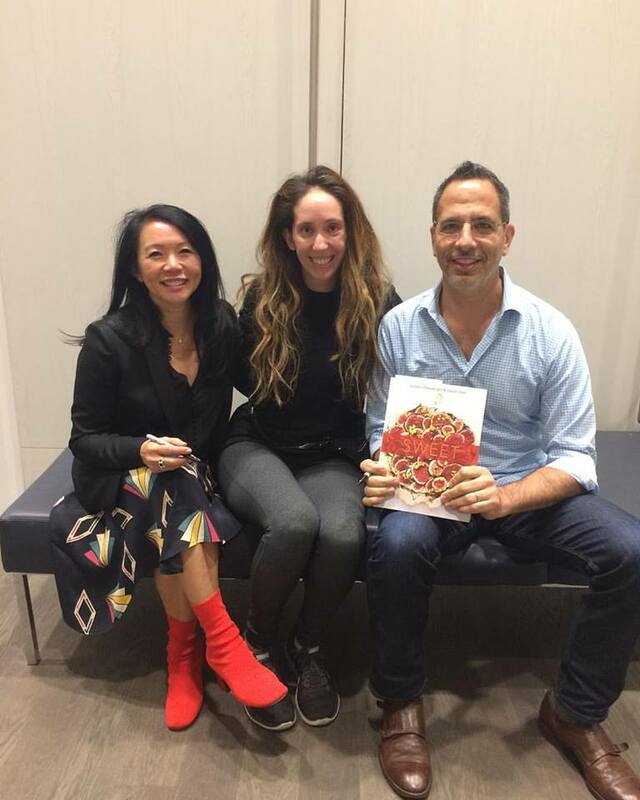 Last week (October 10th, to be exact), we had the privilege of meeting the chef/authors of the new cookbook SWEET - Helen Goh + Yotam Ottolenghi. Equipment-Free, Hassle-Free, Rule-Free - the three tips for truly enjoying the recipes. And though this goes against any professional lessons we've learned over the years, it allows for stress-free execution in the kitchen. What we Learned: bananas don't have to be overripe but it would help with flavour, they're even better when under baked, they can be frozen in balls pre-baked or kept in air tight container after baked, the addition of pecans + confectioners sugar not only tastes amazing but looks pretty. What we Learned: if you don't have a rolling pin or cutter, you can scoop these and flatten them, soaking the dried cranberries allow them to taste soft and plump in the cookie, orange zest gives a fantastic lingering taste that makes you crave another bite, these cookies are great for stacking + for holiday gifts. What we Learned: savoury + sweet are a classic combination regardless of how "out there" it may seem; it's okay to under bake these as they firm up while cooling, but remain gooey; sesame isn't just for streets or bagels; tahini marbled into chocolate looks beautiful. Most of the recipes in the book are quite exotic in comparison to classic North American desserts. They use an array of spices, fruits, + nuts in an inventive way. We can't wait to try (and eat) all of them!